For long centuries, Tibet has fascinated the world. Its rugged isolation, mystical religion, fabulous buildings and hardy people continue to captivate the imagination. Spirituality is a vital part of life up in this isolated land: because of the region's inaccessibility, there have been few modern-day influences, or distractions, to dilute Buddhism's strength. Buddhism has gone through many stages of development in Tibet since being introduced from India by Atisa in the sixth century. Buddhism flourished, helped from its adoption by the Tsangpo dynasty as the national religion. 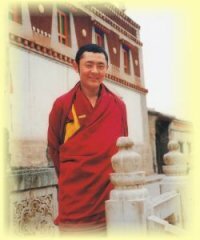 In more recent years Tsongkhapa, founder of the Yellow Sect and master of the Panchen Lama and Dalai Lama, has commanded huge respect for his insightful teachings. People from all cultures can learn from the disciplines, teachings and philosophies of Buddhism. 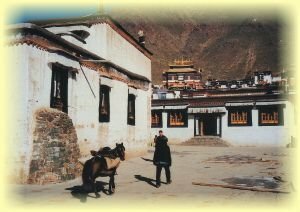 A tour of Tibetan Buddhist sites gives a more profound understanding of this fascinating religion, and how it impacts the everyday life of Tibetans. It has hard-to-witness ceremonies such as the sky burial, that are carried out against a stunning backdrop of snow-capped mountains. Buddhists also have a firm belief in reincarnation, symbolised by a diligent search for each and every Great Lama, a child-Buddha who reveals his identity through certain key signs. The 14th Dalai Lama was discovered in a hillside peasant village, close to the monastery of Ta'er on the Tibetan borderlands of China, by a band of searching monks. Once, Tibet was out of bounds to all but the most determined travellers, but modern transportation and an increasingly outward-looking Tibet now allow outsiders the chance to see, first-hand, this magical part of the world, with its superbly preserved culture and traditions. Buddhism is part of the very fabric of everyday life. Few Tibetans live in towns or cities, so when they embark on pilgrimages to their places of worship, it can take weeks, or even months, of arduous travel. At all Tibetan Buddhist temples, colourfully-dressed nomads can be seen making their circuits of the stupas and monasteries, bowing down low as a mark of respect. The famous Ta'er monastery, near Xining, is the birthplace of the yellow sect of Tibetan Buddhism and is known for excellence in three branches of the arts, notably mural painting, butter flowers and embossed embroidery. A few hours away down a twisting mountain road, visitors can be on the Gansu-Sichuan grassland itself, marvelling at its raw beauty. Flanked by distant mountains is the magnificent Lebrang Lamasery, one of the most important lamaseries for the Gansu & Sichuan province. Tibetans who live in this sprawling land have long known its secrets. Modern scientific tests have shown that traditional herbal medicines and potions made from plants and animals have valuable healing qualities. Tibetan doctors study for many years before being allowed to practise, using techniques honed to perfection over the centuries. The most famous and significant Tibetan Buddhist centre of them all is the Potala Palace in Lhasa, one of the world's architectural wonders. Its tiered layer of pure white buildings is breathtaking to behold, dominating the skyline of the city. Its thousands of rooms, sacred treasures and rich history, have earned it a World Heritage Site listing. Visiting Tibet is, in short, a cultural, spiritual and natural journey to one of the most unspoiled regions of the world. After witnessing Tibetan Buddhism culture close up, it becomes clear why this serene and peaceful way of life so fascinates people from all over the world.